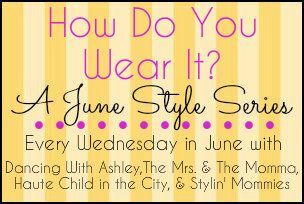 The third edition of "How Do You Wear It?" 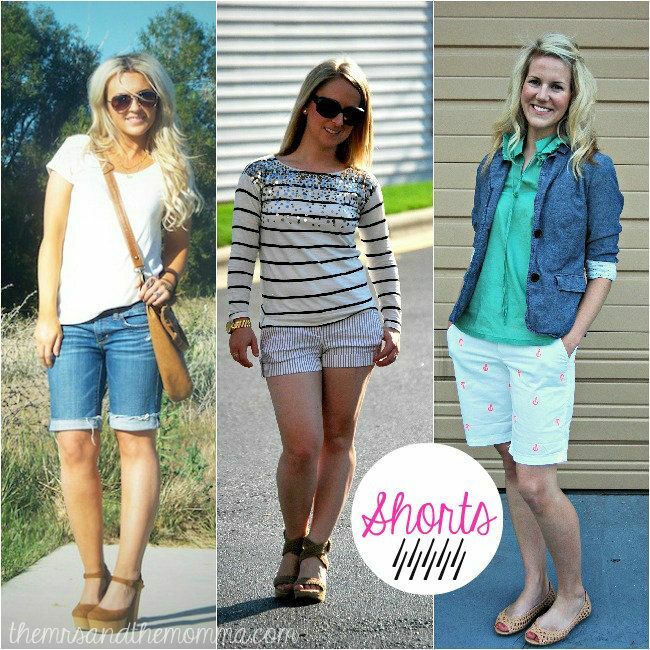 features how we style shorts for the summer. I'm not a huge shorts-wearer...I prefer wearing skirts in our Texas heat. I am, however, a resourceful momma, and therefore take any chance to salvage a piece of clothing that might otherwise be donated. Okay, that's actually a lie. I'm not. I donate perfectly good, salvageable pieces. Such as hair (most times a bad idea), in line (only sometimes a bad idea), and denim (almost always a fab idea). Having some nice jeans that were just a tad too short coupled with not being able to find anything suitable to wear to my family reunion, produced a quick snip-snip job and viola! How do YOU wear shorts??? I love that green button up! I would love it if you would stop by and link up! I love this, I'm obsessed with shorts this summer! I need to bust out my denim shorts now that I've seen your super cute outfit! 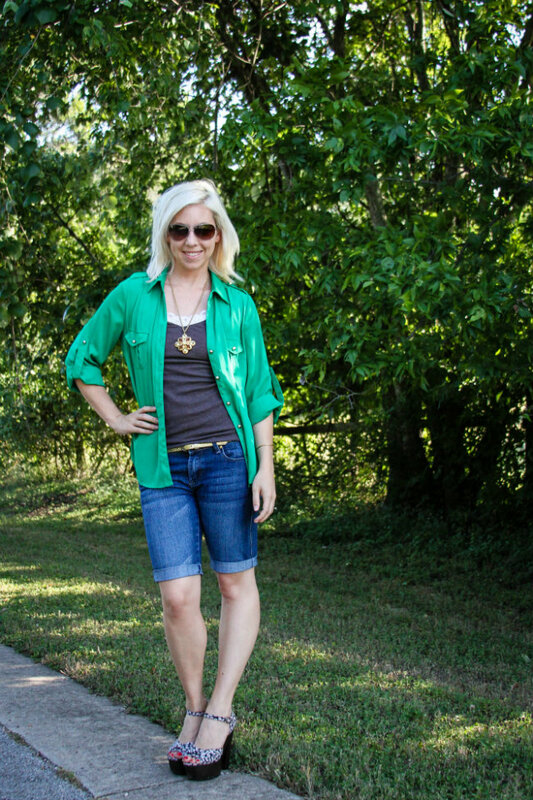 I love everything about this post - especially how you rocked these shorts! Lovely dear!